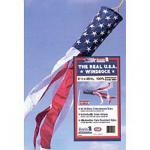 This Stars & Stripes Column Windsock is great for any patriotic home. 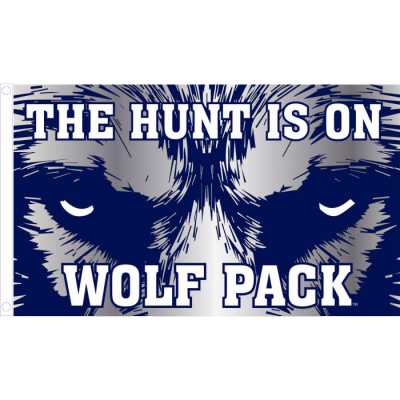 Comes in 3.5" x 18", 5" x 40" and 7" x 60". All are made of quality Sun Tex Nylon material, and screen printed stars. Comes with a snap swivel for easy display. Imported. Two Group's polyester patriotic windsock comes 60" long. The stars are printed. Great for an inexpensive patriotic decoration. This is an imported item. This 40" x 5.5" is made right here in the USA. 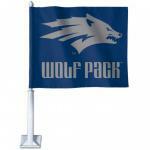 This Made In America Windsock is constructed of 100% durable nylon outdoor material. Features embroidered stars. Rare Made in America Windsock by Annin Flag Co. Features 50 beautiful embroidered stars, and made out of the same high quality SolarMax nylon as in our American flags. This windsock will last longer than any imports. 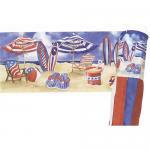 Come is sizes, 5" x 36" , 6.5" x 48" , and 8" x 60"
The Patriotic Star Twisters are made of quality Solar Max outdoor nylon. Star Twisters spin in the wind. Two sizes to choose from. 14.5" x 30" and 20.5" x 42". 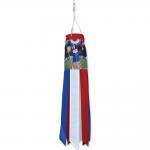 One of our most popular windsocks. Simple assembly required. 6" X 40" Applique windsock is made of fade and weather resistant polyester fabric and comes with snap swivel for easy hanging. This 6" X 40" Brilliance windsock by Premier are made of quality outdoor polyester and printed with dye sublimation graphics. Includes a heavy duty ball bearing snap swivel for easy installation. 6" X 40" Brilliance windsocks by Premier feature great quality and beauty.Windsocks are finished with snap swivel for easy installation. Great for getting attention to your business. This 6" X 40" Applique windsock is made of fade and weather resistant polyester fabric and comes with snap swivel for easy hanging. 28" Brilliance windsocks by Premier feature great quality and beauty.Windsocks are finished with snap swivel at the top for easy installation. This Twin Spinners is 16" X 26" and are made of weather resistant polyester fabric with fiberglass frame. 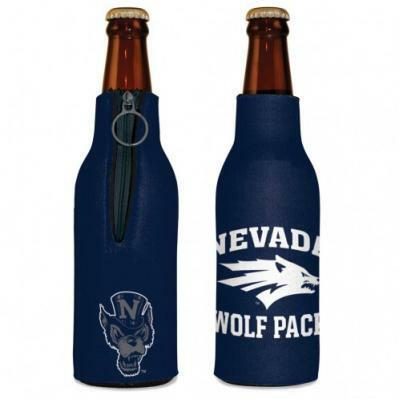 Features dye sub printed graphics and comes with a ball bearing snap swivel at the top for easy hanging. Our RED, WHITE & BLUE Spinsocks come in three different sizes: Little 24", Small 36`, Medium 48`, Large 60`. Made of quality outdoor nylon. Spinsocks are fun because they spin in the wind. Comes with heavy duty snap swivel for easy installation. This Red, White & Blue Spinset comes in two different sizes. Large: 59`long 11`, 9`, 7` baskets and Small: 53` Long 9`, 7`, 5` baskets. The baskets spin in different directions in the wind. Comes with heavy duty snap swivel for easy display.